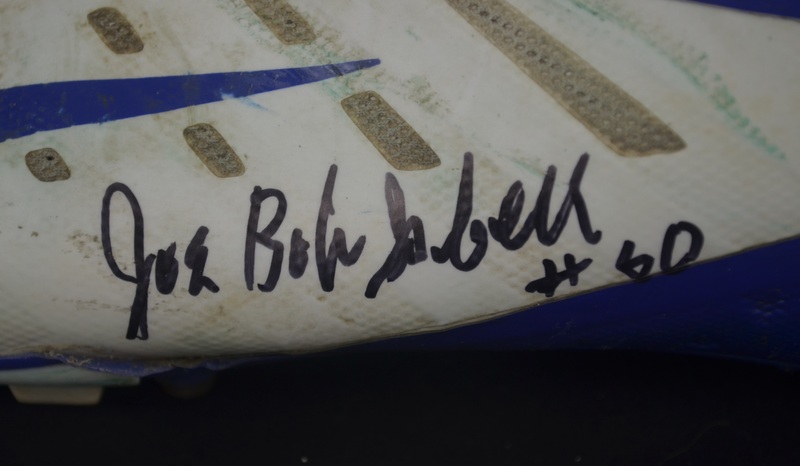 This lot features a shoe worn by Joe Bob Isbell. 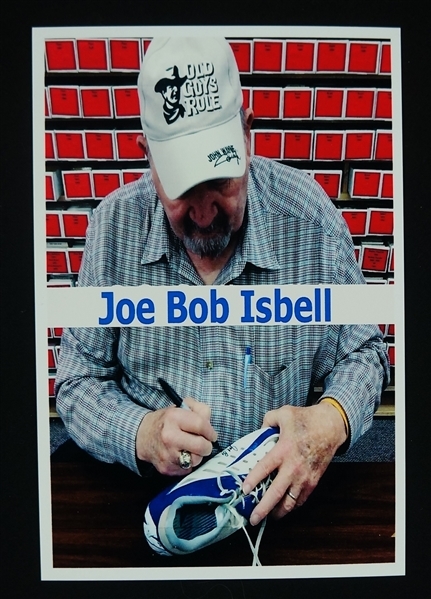 Accompanied by a photo of him signing the shoe. 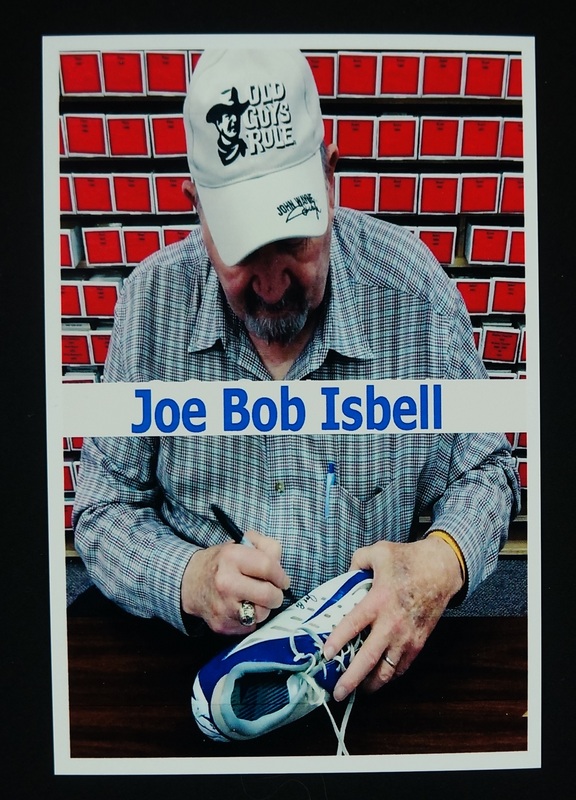 Isbell was an offensive linemen in the National Football League for the Dallas Cowboys and Cleveland Browns. He played college football at the University of Houston.